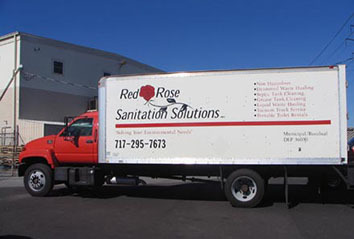 For anyone looking for extra-clean, affordable, Luxury Restroom Trailers, Portable Restrooms or Waste Management Services, Red Rose Sanitation Solutions in Lancaster County is the favorite choice for many. We also serve Berks County, Dauphin County, Lebanon County, York County, and surrounding areas. We provide municipal waste disposal to Pennsylvania Department of Environmental Protection permitted disposal facilities. If you have an event that requires added restroom facilities, we have the right solution for any occasion. 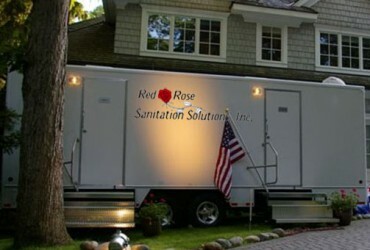 Luxury restroom trailers are available for larger corporate events or for your big wedding day! Need workplace facilities for a construction project? We have the solution. 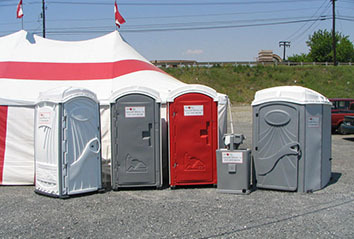 Our main goal is to be sure that your guests and employees are comfortable using our portable toilet facilities.